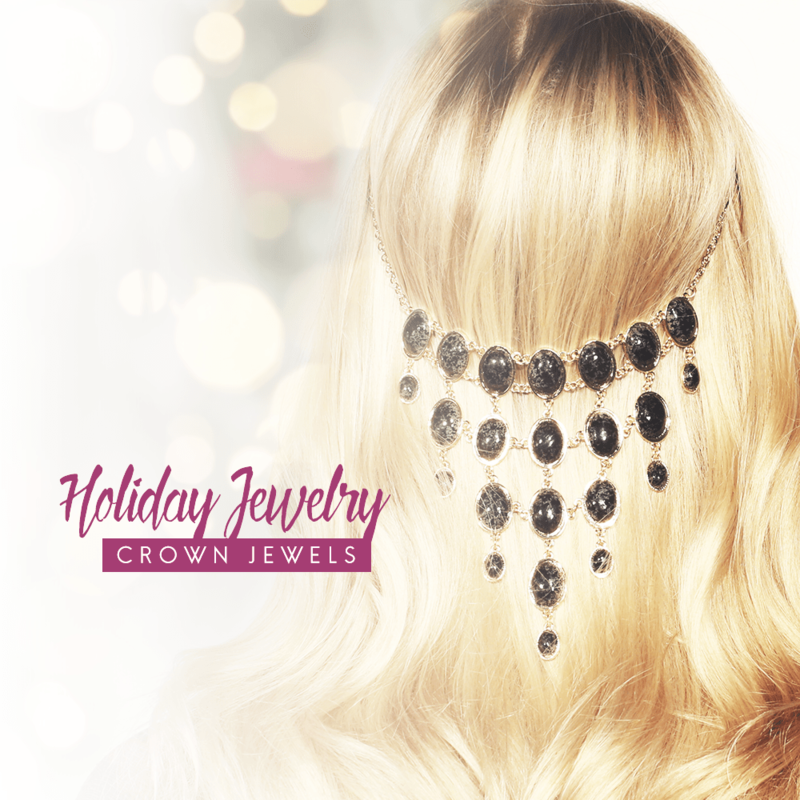 Crown Jewels are our favorite hair accessory & are the perfect addition to every outfit this Holiday season! Our Crown Jewels are held on your head by two clips, one on either side, to make sure it stays secure on your head all day long. You get the choice of choosing a dark or light clip. The one you choose will depend on if you have light (blonde) hair or dark (brown) hair. This is so the clip will blend in with your hair instead of standing out. Teasing your hair at the root before clipping the clips onto your hair will also help secure them so they won’t slip down throughout the day. If you tease the top layer and place that over the clip it will also help hide the clip even better! Watch below to see Bonnie B. show us how to do this! We have 16 different types and styles of our Crown Jewel, so you definitely have plenty of options depending on what your #OOTD is! Our Crown Jewels are not only perfect to wear during the Holidays but also the perfect gift to give!